Garden & Greenhouse is published 12 times per year and offers an inexpensive way to reach small commercial growers, hobby growers and hydroponic & indoor gardeners and is mailed direct to over 5,700 subscribers. Garden & Greenhouse being mailed direct to subscribers helps you as an advertiser because it guarantees that your ad is viewed by the potential customer each time it is published. 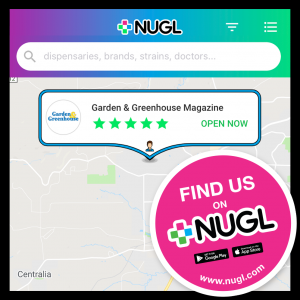 Plus you get the added benefit of over 5,000 additional newsstand copies each issue being distributed to hydroponic & indoor gardening retail stores. A digital version of each issue that can be read on cell phones and tablets is posted on our website that averages over 30,000 visitors each month. Total print, digital issue subscriber and website distribution is over 41,000 readers per issue. Over 85% of our readers have purchasing authority, 59% own or work in a greenhouse, and 85% visit the advertising company’s website to when they respond to advertisements in the magazine. This group of potential customers is not addressed by gardening magazines, which target traditional gardeners or greenhouse magazines which normally contain information that is used only by very large commercial growing facilities. Our editorial includes informative columns and concise articles plants, products and growing practices that greenhouse users, hydroponic & indoor gardeners and traditional gardeners should consider for usage. This information makes Garden & Greenhouse a valuable resource for busy owners, managers and hobbyists. We support our advertisers by publishing their product releases & news items and encouraging them to submit potential articles & product features. 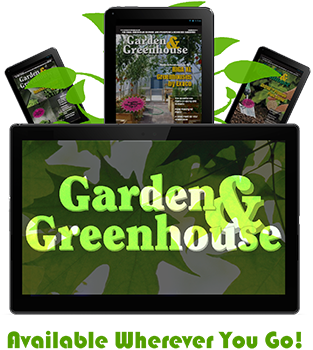 Garden and Greenhouse Magazine is published by NUGL Media Group and is located at 6170 Forest Hills Drive, Dubuque, IA 52002. You can contact us at 563.557.7571 or by email at Robin@nugl.com.